Proudly introducing the Arowana Chili Red, super red, 24k gold, malaysian red, bluebase, red tail golden, x back gold, fufalong red, banjar red, platinum gold All top quality from Reliable ventures Arowana Gallery to all today. 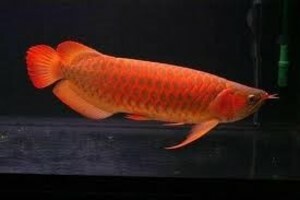 Experience the true beauty of Arowana. We provides reliable source of Arowana & Peace-of-Mind after service. Certificate is inclusive in the package to ensure you own a masterpiece. Seeing is believing, make your way to Reliable ventures Arowana Gallery today & view to believe. Bring home the DRAGON today. Good Luck arowana awaits to new owner.Nomatter where you are located, just let us know if you are interested and we can still get your fish delivered at your address, very quick and convenient. Pm me.